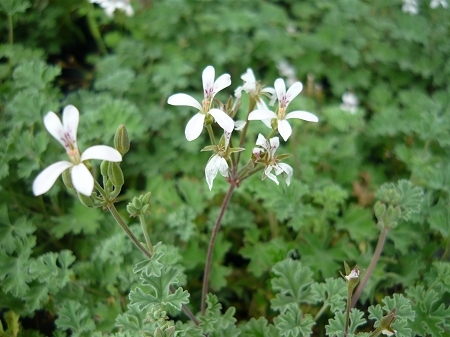 Ardwykk Cinnamon Scented Geranium. - Grayish-green frilly leaves have a pleasant spicy cinnamon scent. Sprays of delicate white flowers when in bloom. Fairly compact growth habit suitable for containers. Culinary. Perennial zones 10-11+ Live starter plant in 3 inch container.